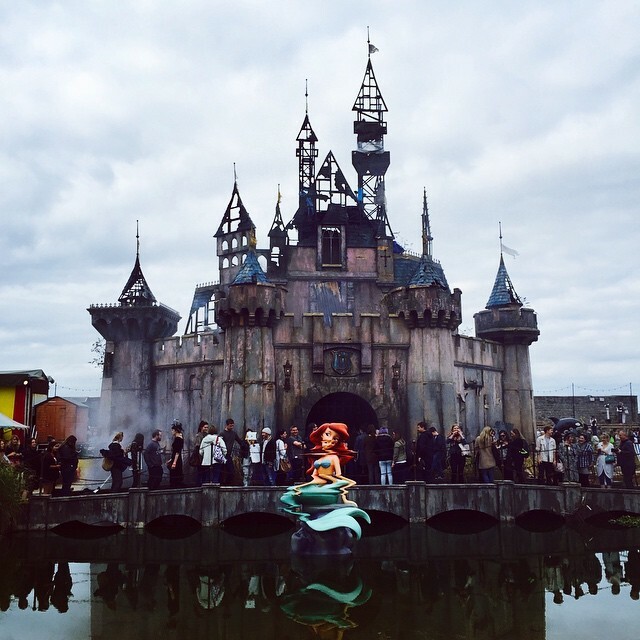 Dismaland – not a theme park. Whilst I’m sure there are countless blog posts on this subject – I felt obliged to share my dismal experience of Banksy’s latest exhibition. I say ‘exhibition’ because that’s what it is, anyone expecting a theme park will, and should be, disappointed. My first thought – I’ve paid in advance for a ticket and I still have to queue for 45 minutes – evaporated every time I took a sideways glance at the (huge) crowds who hadn’t bought a ticket in advance. Once in, and past the security guards who yelled at us to swap sunglasses/hats, I realised that I would have to queue again. And again. And again. Was this part of the dismal British experience? Second thought, were the queues worth it? Yes, I think so – what did I expect really. As soon as we bumped into a ‘Dismal’ employee, we realised how their miserable personas brought much-needed humour to the whole experience. Weirdly, some members of the public/die-hard fans had tried to take part in the experience by dressing up in furry mascot costumes. Odd, but not un-enjoyable. The gallery showcased most of the non-Banksy art alongside the ‘grim reaper’ riding a dodgem to ‘staying alive’ by the Beegees. This whole area was bigger than expected with standout pieces like the model village missing it’s villagers, filled only with flashing blue lights and policemen. The castle was, as it should have been, the most impactful piece. 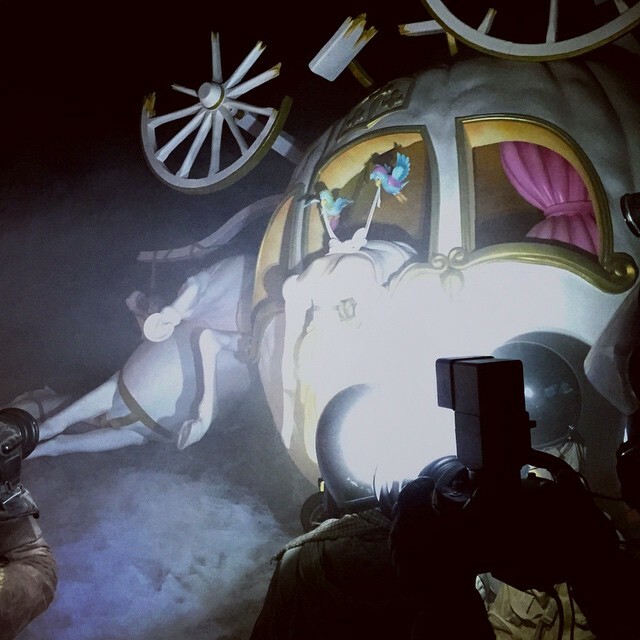 With a pumpkin-carriage on it’s side, twisted horses and paparazzi taking photos of princess Diana, sorry, Cinderella – it left you with a heavy feeling, which again was lightened by the staff yelling at you to ‘get in line’ and ‘sod off’. Another strong, perfectly timed message was that of immigration (made stronger by the recent news that remains of Dismaland are being taken to Calais to build shelters). Mini immigrants float face down in the water as you navigate little boats around them, another heavy feeling ensues. This feeling made more uneasy by the fact that small children were gleefully taking hold of the controls. What did they think of the dead Cinderella and the Donald Duck teddy with it’s guts spilling out I wondered. And would I have brought my children to a theme park that would no doubt crush some of their enviable innocence? No, because it is not a theme park.